The Economic and Social Research Council (ESRC) has recognised the ground-breaking impact of a leading Birmingham Business School project, by awarding the co-directors an award as part of the 2017 ESRC Celebrating Impact Prize. 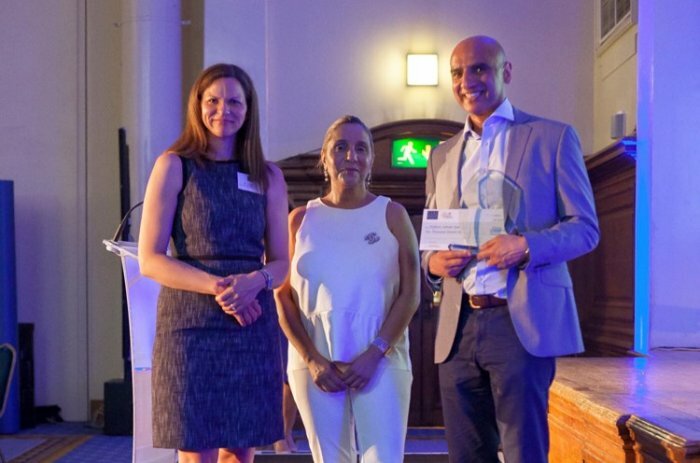 Professor Monder Ram and Professor Kiran Trehan were announced as winners of the £10,000 award for Outstanding Impact in Business and Enterprise on Wednesday 21 June, for their work with the Enterprise and Diversity Alliance (EDA). 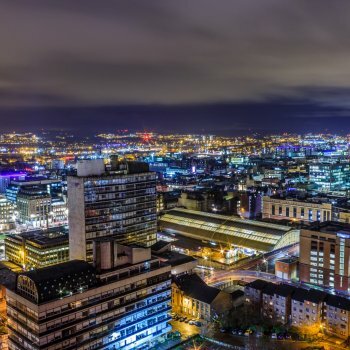 The network, which was launched to promote ethnic minority entrepreneurship, has helped hundreds of ethnic minority businesses gain access to finance, new markets, mentoring and business support, as well as raising awareness of the £25-£32 billion contribution these firms make to the UK economy every year. Launched in 2010, the EDA has brought together a unique grouping of corporations, banks, professional associations, academics and ethnic minority entrepreneurs. The EDA’s pioneering initiatives supporting ethnic minority entrepreneurs overcome a range of obstacles to business growth, which is what drew the attention of the award. Backed by the British Bankers’ Association (BBA), policymakers and professional bodies including Association of Chartered Certified Accountants (ACCA) and the Equality and Human Rights Commission (EHRC), the EDA has worked to share academic and practical knowledge, develop closer relationships between minority businesses and the corporate sector, and provide direct support including access to finance, human resources expertise, marketing and IT support and mentoring. Partnerships with banks including Barclays and Nat West have helped hundreds of ethnic minority and women-owned businesses grow thanks to bespoke financial advice and mentoring. More than 30 workshops on how to gain access to finance and markets held in Birmingham between 2011 and 2016 have raised awareness of the support available and helped dispel the myth that bank financing is inaccessible. Research and awareness are also key EDA objectives. Professor Ram initiated an annual Ethnic Minority Business conference in 1998. Now in its 21st year, this event is recognised internationally for networking and disseminating policy and research. EDA also had success influencing policy makers at the local level via Local Enterprise Partnerships and nationally and internationally, too. An influential UK government report (Burt Report 2015) on ‘inclusive business support’ adopted many of the EDA’s recommendations on engaging with minority enterprise. The EDA was also highlighted by the European Commission in a 2016 guide to promoting on good practice in supporting migrant entrepreneurship. 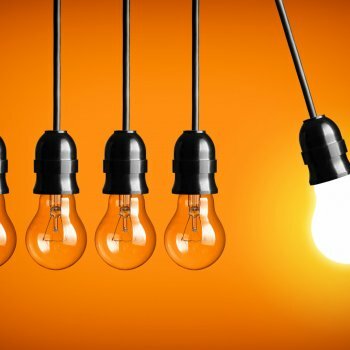 Now in its fifth year, the ESRC Celebrating Impact Prize 2017 recognises and rewards the successes of ESRC-funded researchers who have achieved, or are currently achieving, outstanding economic and societal impacts. In awarding the prize for Outstanding Impact in Business and Enterprise, the judging panel described Professor Ram and Professor Trehan’s achievements as ‘impressive –particularly the buy-in they had achieved with both ethnic businesses, the British Bankers Association, specific banks and other organisations’.